Stuart's Alumnae Gallery highlights graduates whose work exemplifies the Sacred Heart Goals and characteristics outlined in Stuart's Portrait of a Graduate. Featured alumnae have been peer-nominated and are selected by the Alumnae Association Board. The gallery is located just outside the office of the Head of School and includes the Barbara Boggs Sigmund awardee. Elizabeth Conte graduated from Stuart in 1973, set on the path to become an independent, loving woman. Elizabeth focused her studies in psychology and prepared to become a teacher. During this time, she realized her passion for helping those who were having the most difficulty, and pursued her education and career in vocational rehabilitation. Her career has directly reflected what she learned at Stuart: respect and acceptance of others, regardless of their life conditions. She was also inspired by the progressive nuns at Stuart to speak up when change is needed. Beth has been serving others through her work at NJ Division of Vocational Rehabilitation for over 30 years. The spirit of Stuart remains with her and guided the first steps in her journey; faith, love, learning and commitment and service to others create a life worth living. Catherine McKee van Kampen, Esq. ’84 was a leader throughout her years at Stuart and became an award-winning marketing and advertising professional as the vice president of a global advertising agency. While continuing this work and raising her children, Catherine completed her law degree and then left her media career to focus on her legal interests. She has practiced at a prestigious international securities firm as a team leader, litigating complex fraud cases. Catherine credits Stuart for putting her on the trajectory that largely determined her adult life and equipped her with the intellectual and leadership tools to help navigate the world and workplace. Catherine is also passionate about her volunteer work, which includes service on nonprofit boards and working with organizations helping to alleviate the human suffering of ethnic and religious minorities in Iraq and Syria. Catherine points to three transformational aspects of a Stuart education: the development of the whole girl leads to a better world; the safe space Stuart provides for intellectual and spiritual development; and community service, resulting in the betterment of society. After graduating from Stuart in 1988, Joanna Wilson Vargas completed a specialty program in the humanities at the University of Chicago, focusing on women’s studies, photography, and African American studies. She then moved to New York, spending time in the fashion photography industry, before realizing her true passion for helping women feel confident in their own skin. After some time working in the beauty industry, Joanna became an entrepreneur, opening her first salon. Now with countless celebrities and others who have placed their trust in her, over 50 employees on two coasts, and an array of skincare products sold in retail outlets, Joanna largely credits her time at Stuart for giving her the confidence in herself to forge a new path and not be afraid. Being true to yourself and always maintaining your own personal code of ethics are things Joanna learned at Stuart that are present today in everything she does. Regina Meredith Carpeni ’71 was so greatly influenced by the inspiring faculty and abundant leadership opportunities at Stuart that it impacted her whole outlook on life. After completing her degree in government and Latin American studies at the University of Notre Dame, Regi worked with the Peace Corps in Guatemala. Upon completion of her assignment, she pursued her Master of Arts Degree in International Relations and Latin American Affairs at Columbia University. Regi then began her international banking career at BNY Mellon, during which she rose steadily through the ranks for 38 years until her retirement in 2016 as chief operating officer for the Markets Group. Regi clearly excelled at her work, but her dedication to serve in other ways led her to such positions as founding member of the Wall Street Women’s Alliance, co-chair of Women’s Initiative Network and director for the New York Hall of Science. Regi learned at Stuart that she was a part of something larger, but even more, that she had a responsibility to help. She also credits her experience at Stuart with her ability to balance family and career and interacting effectively with diverse populations. While in the Upper School at Stuart, Rachel Lears ’95 aspired to do work at the intersection of scholarship, activism and creativity. She majored in music at Yale, then earned a Master of Arts in Ethnomusicology, a Graduate Certificate in Culture and Media, and a PhD in Anthropology at NYU. 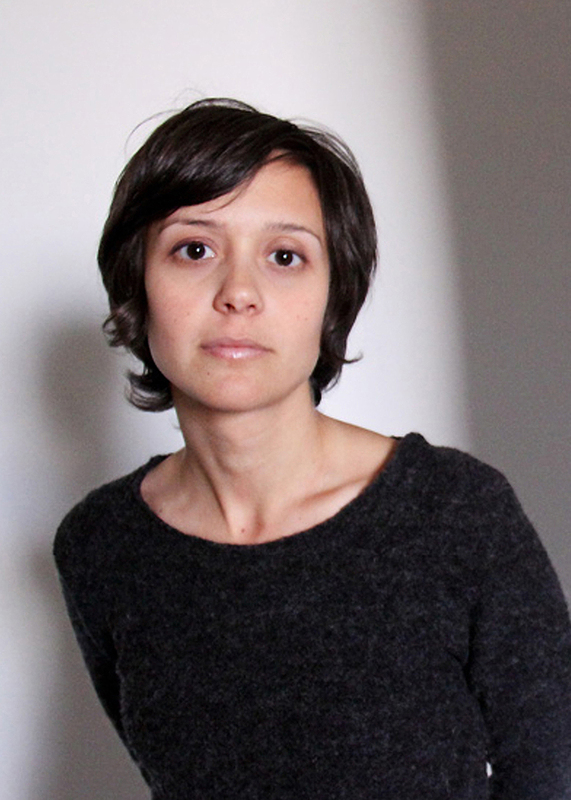 Her graduate work focused on music, media and politics in Latin America as well as documentary film production. Since finishing her doctorate in 2012 she has worked full time as a documentary filmmaker and freelance director, producer and cinematographer, focusing on social justice issues. Rachel’s feature film, The Hand That Feeds (2014), and short film The New Fight for Voting Rights (2016), have become tools for grassroots movements to build solidarity for social change. Throughout her eclectic career, Rachel has built upon educational foundations in research, writing, photography, music and Spanish, as well as the values of intellectual curiosity, collaboration, community, resourcefulness and respect for diversity and dialogue, all of which she learned and practiced at Stuart. After graduating from Stuart in 1988, Sabrina Comizzoli continued her education at Princeton University before earning her J.D. from the NYU School of Law. Thirteen years ago, she was fortunate to be hired by the Department of Justice in the U.S. Attorney’s Office for the District of New Jersey – where she now serves as the executive assistant U.S. attorney, the third-highest ranking position in the U.S. Attorney’s Office. As a federal prosecutor, she has worked on intellectually challenging, complex (and fun) litigation, and had the opportunity to represent and protect the people of this country. Every time she has made a significant choice regarding her education or profession, she has—both consciously and unconsciously—considered Sacred Heart Goal Three: a social awareness which impels to action. Stuart instills in its graduates a social consciousness which causes them to embrace a lifelong commitment to justice. Sabrina’s career path has followed quite naturally: the mission of her job and the tradition of her office are always to seek justice and to do the right thing. Now, as she is more involved in the administration of the U.S. Attorney’s Office, her job involves public speaking, setting goals and achieving them, and exercising the leadership skills she learned at Stuart. Sr. Marcia Hall, OSP graduated from Stuart in 1974 and continued her education at Bryn Mawr College and the University of Michgan, where she earned a Ph.D. in sociology. Throughout her career and vocation, Sr. Marcia has worked as a university professor, teacher, principal, vocation director and tour/pilgrimage director for her order, the Oblate Sisters of Providence. She considers faith, learning and community the hallmarks of a Stuart education that resonate with her the most. All have sustained her through good and bad times since her years at Stuart. She still remembers the work that was required to complete her history term paper junior year. These specific skills—planning, researching and writing—have carried her through her life as a student, teacher and administrator. Though she is no longer in an academic setting, she is still learning for example, how to use social media to promote the Congregation and how to enhance liturgical celebrations. Sr. Marcia’s faith has helped her to grow from a shy, introverted girl at Stuart, to a woman who is regularly called on to give presentations and tours about the Congregation. She was called to live in community by God; God and community have helped her become a more faith-filled, loving person. 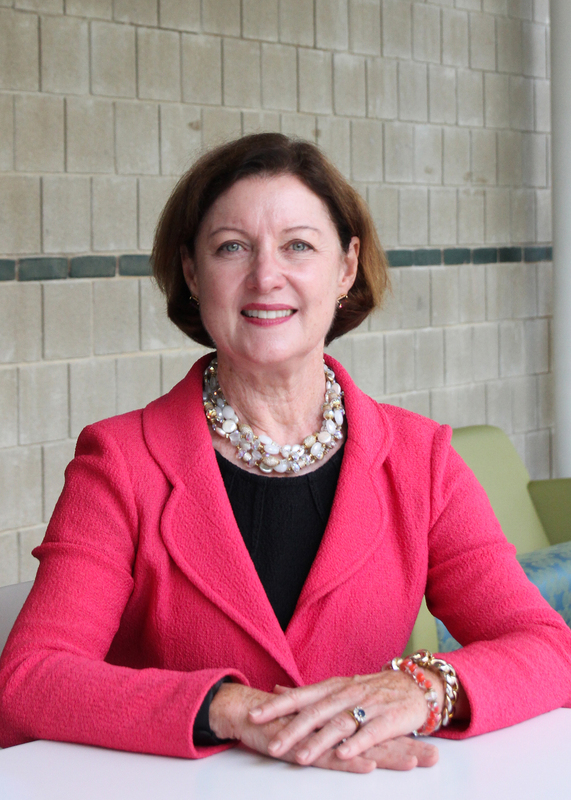 The time Anne Conley O’Neill ’68 spent at Stuart, in an unfinished, light-filled school, clearly illuminated her path after graduation, exhilirarated by the belief in her ability to embrace challenges. The daughter of a Manhattanville College (Sacred Heart) alumna, education was a core value in her home and a Sacred Heart education was an invaluable asset. Anne earned her degree in government from Smith College before returning to Princeton to begin her multi-faceted career with a teaching position at Stuart. Anne later served on Stuart’s Board of Trustees and in the development office at Princeton University before taking her position as director of Alsace/USA, fostering cultural and economic relationships between the Alsace region and the US. Having never lost her love for the Princeton community, nor her connection to it, Anne is now based in Princeton as the executive director of the Scheide Fund, a private philanthropy supporting many non-profit organizations. Each new job opportunity in Anne’s life has required trusting her Stuart-instilled resourcefulness and approaching each challenge with the optimism and “can-do” spirit that permeated every day at Stuart. Marina Cords ’74 is an award-winning scientist, a fellow of the American Association for the Advancement of Science, and a professor at Columbia University. A deep enthusiasm for nature was part of Marina Cords as long as she can remember, but it was not until seventh grade, her first year at Stuart, that she was introduced to the idea of formal investigation, what would become the foundation of her career and passion. “It was heaven mucking around in my very own quadrat on the edge of a stream on Stuart’s grounds.” Her education, as a student and teacher, continues to hone all the relevant skills, and almost every bit of the process is both a challenge and a pleasure. Stuart was the foundation and catalyst for Joy Robinson Melendez’s commitment to service and work in the fields of non-profit project management. 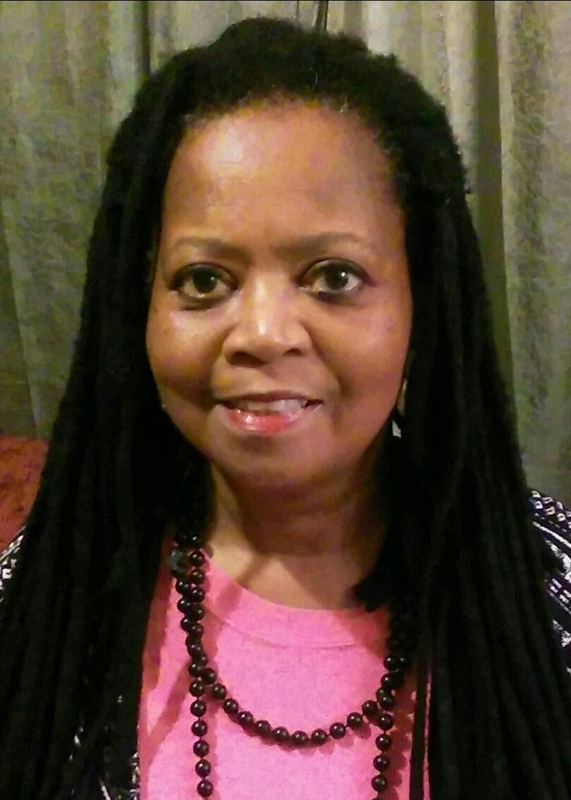 With degrees in Public Health Administration and Social Work, Joy has served the greater New Jersey community through the development and management of programs largely centered around public health education and HIV/AIDS awareness. During this time, she was invited to collaborate with physicians and medical professionals to revise and update the asthma education curriculum for the Kids on the Block, Inc., and she created another award-winning educational program geared towards raising HIV/AIDS awareness and sensitivity, promoting healthy decision making skills and character building for inner city youth. Joy is currently the Program Coordinator of the Infectious Disease Program, based in a Federally Qualified Health Center in New Jersey, having secured over $3 million dollars in federal and state grant funding to provide comprehensive medical and psychosocial services to over 400 adults living with HIV/AIDS. Jennifer’s strengths as a leader, educator, friend and confidante were established in the values learned at Stuart and from her family. As a student at Stuart, Jennifer always greeted each new experience with focused eyes, a wide smile and treated each individual with respect and compassion. Upon graduation, Jennifer went on to earn a B.A. in Religion from Colgate University and a Master’s degree in Education from La Salle University. After graduate school, she met her husband and began a family. Stuart soon came knocking on her door to come back as an educator. During her tenure at Stuart, Jennifer taught over nine different courses ranging from religion to social sciences. Always up for a challenge, Jennifer lead by example and brought a perspective to her students that we are all life-long learners if we choose to be. Jennifer’s passion for learning, compassion for others, and faith has guided her lesson plans and impacted many girls within our Stuart Community. Her role as an educator and service to our community encapsulates a portrait of a graduate. Georgienne’s years at Stuart taught her many things. In addition to maintaining rigorous academic standards, she learned that she, as well as every student, could make a difference, accomplish what they set their minds to, and make the world a better place. At Stuart, she learned to appreciate and respect nature. Through the floor-to-ceiling windows, the seasons were noticed and embraced. Lectures would pause when deer ambled past and the girls quietly observed their behavior. Most of Georgienne’s life has been spent advocating protection for wildlife. Instead of deer—dolphins, sharks, and sea turtles have become her subjects. Today, instead of her green Stuart kilt, Georgienne dons a scuba tank and regulator. She still spends hours observing animals, but now it is underwater. Georgienne dedicates each day to making the world a better place. Zoelene continues to be inspired by the values and lessons she learned at Stuart. Learning was more than an academic pursuit—it was an experience that cultivated the intellectual, personal, and spiritual development of each young woman within a supportive community. Zoelene fondly remembers the turning of the rings ceremony at graduation, which symbolizes the transition from life as a Stuart student to a life of learning and service to the world. After receiving degrees from Princeton and Harvard Universities, she worked as a teacher at West Philadelphia High School, where her experiences in a poorly resourced school made her passionate about changing systems of unequal education. Zoelene is a PhD candidate in Public Policy at Duke University, focusing on early childhood education and the achievement gap. She hopes to continue her service to others by providing consultative services to departments of education and school districts. Justice Anne Murray Patterson was molded at Stuart from her first day of school—the day Stuart opened its doors in 1963. After graduating from Stuart, Anne received her undergraduate degree from Dartmouth and her J.D. from Cornell Law School in 1983. Anne served as deputy attorney general and special assistant to New Jersey Attorney General, handling civil litigation and criminal appeals on behalf of the state. She returned to her firm in 1992, and remained there until her appointment to the New Jersey State Supreme Court in 2011. Justice Patterson was awarded the William A. Dreier Award for Excellence in the Advancement of Product Liability and Toxic Tort Law and the New Jersey Commission on Professionalism’s Professional Lawyer of the Year Award. Anne credits her experience at Stuart, in large part, for her sound character, values and the work she has accomplished. Stuart has been a guiding force in the personal and professional development of Lorena Sayer O’Brien. As a Managing Director and Senior Banker in the JP Morgan Private Bank, she uses the skills learned at Stuart (especially in the Stuart Little Theater) every day in business as she speaks to her clients who are top executives of some of the world’s largest companies. As a young professional and business school student, the strong math skills that Lorena learned at Stuart were incredibly valuable; equally important was the confidence that Stuart instilled in her to ask questions and think critically. As her career has progressed, it is the lessons of resilience and empathy that she calls on more frequently. Lorena continues to offer her time to non-profit entities, including Stuart’s development committee, the Professional Advisory Council of the Metropolitan Museum of Art and her children’s schools. She is also very proud to be a Sacred Heart mom! After her time at Stuart and the University of Connecticut, Carol Spencer Mitchell began her career as a photojournalist, writer, and multi-media producer in 1975, working in the United States, the Caribbean, and Central and South America. She moved to Jerusalem in 1984 as a member of the foreign press corps and spent the next decade covering the Middle East and North Africa. Her photographs have appeared on the covers of Time and Newsweek, both of which she worked for extensively. She also traveled on special assignment for U.S. News & World Report, Look, The New York Times, The Washington Post, The Los Angeles Times, Newsday, The Philadelphia Inquirer, and numerous European publications. Carol always felt that her time at Stuart taught her to be fearless and to ask hard questions in the search of truth. She passed away from cancer at the age of 50 in 2004. Shelley made quite an impact on the Stuart community while she attended from eighth grade through graduation, but Stuart made an even greater impact on her. Shelley’s advocacy work began through her community service efforts as a Stuart student. After completing her undergraduate work at Bowdoin College and her PhD from Columbia University’s School of Public Health, Shelley dedicated her professional work to protecting of our nation’s health from preventable diseases. She is the Managing Director of the Pew Health Group at The Pew Charitable Trusts and is a Visiting Professor at the Johns Hopkins Bloomberg School of Public Health. Shelley is the recipient of numerous awards for her public health work, has published numerous works on public health topics and ethics, and trains tomorrow’s medical and public health leaders on their role in these issues. Shelley credits her work to the social values instilled by her Stuart education. She embodies the Sacred Heart call to “always act as persons of courage and integrity,” and uses this as her routine inspiration to continue her fight to make the world a better place. Nell Merlino’s years at Stuart formed the foundation for her life-long commitment to empowering women. Nell is well-known for her part in founding Take Our Daughter’s to Work Day, moving more than 71 million Americans to give girls the opportunity to dream bigger about their future. She is the founder and president of Count Me In for Women’s Economic Independence, the leading national not-for-profit provider of resources for women to grow their micro businesses into million dollar enterprises, inspiring entrepreneurs to think bigger and grow dramatically. Nell is also author of Stepping Out of Line: Lessons for Women Who Want it Their Way in Life, in Love, and at Work. She has been a true public servant; in addition to working in state government and with the US State Department, she created campaigns such as the YWCA’s The Week Without Violence and the United Nations’ Fourth World Conference on Women in Beijing. Megan attended Stuart for 12 years, beginning in the first grade. Inspired by her teachers, she pursued a degree from Ohio State University in environmental science and wetlands ecology. Megan returned to New Jersey to work at the site of her senior community service project, Isles, Inc., a non-profit community development and environmental agency in Trenton. After some time at home raising her three children, Megan works as an independent grant writer and program design consultant for non-profit agencies. She is active in other non-profit work, including serving on the Parks and Recreation Commission for the City of Lambertville and serving on the board of the Lambertville Area Education Foundation. Megan is committed to inspiring and effecting change through her passionate work on behalf of the children of her community. She is the 2004 recipient of the Barbara Boggs Sigmund Award.